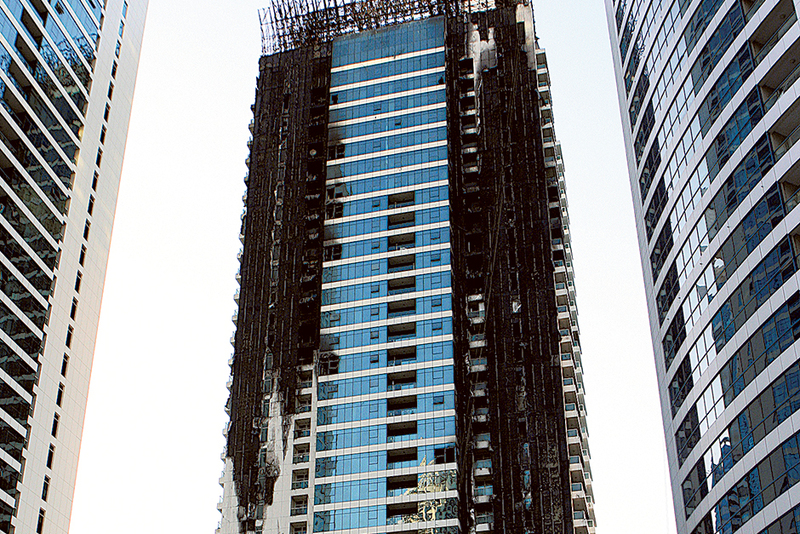 Dubai: Who should be fronting up to take on responsibility to get a fire-ravaged high-rise in Dubai back on its feet is still shrouded in grey areas. Should it be the homeowners’ association in charge of the particular property or does the right vest with the developer? A clear-cut answer is yet to emerge despite the repeated incidents of fire breakouts. “In the majority of cases, an owners’ association has not been officially created due to implementation delays in the Dubai Jointly Owned Property Law of 2007,” said Shahram Safai, Partner at the law firm of Afridi & Angell. “It can be argued that the developer is still liable under the law as it is his building to manage. Under local laws, the onus of repairing and restoring a high-rise property lies with the owners, “who may or may not be organised as an owners’ association.” At the end of the day, the owners of an asset (in this case, as evidenced by title deeds issued to each of them for their apartments) are responsible for both upkeep and repair. Now, if the owners’ association does not have a legal standing, the chances are that insurers could be reluctant to make the large payouts required to construct the building, market sources say. By doing so, it could open them to other claims. Also, when there is no officially sanctioned owners’ association in place, the property would have an “interim” entity handling affairs. But, the chances are rife of interim associations cutting corners, and especially so in terms of what they need to pay as their annual insurance premiums. “In theory, the homeowners’ association (HOA) should insure the whole building from fire, including all of the apartments ... so [that] there should be no need for individual fire/disaster policies to be taken out by each owner separately,” said Ryan Mahoney, CEO of Better Homes Real Estate, “However, this is not always the case. “Some HOAs are not as diligent as others and a check of the [insurance] cover placed may reveal it is not a suitable policy for the building. And if the building is not insured at a proper replacement value in the event of fire, then the owner may need to get his own top-up insurance in place. However, most individual unit owners can only get insurance for the interior contents of their units rather than one to cover the potential loss of the whole unit itself.